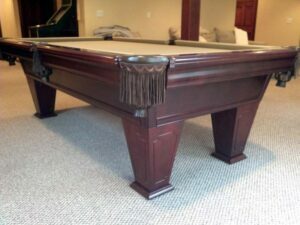 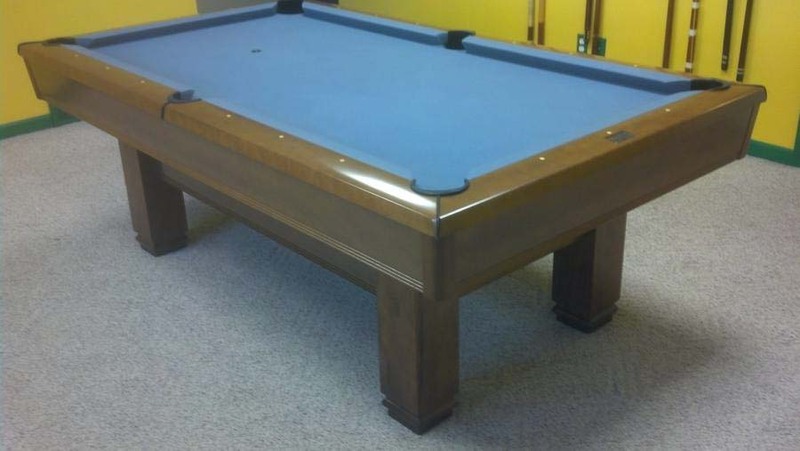 7′ Brunswick Bridgeport pool table with honey finish. 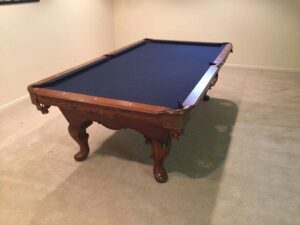 If you love Bridgeport pool tables, this is your chance to own a 3 piece, 1″ thick slate, Full nut and bolt assembly Brunswick vintage piece. 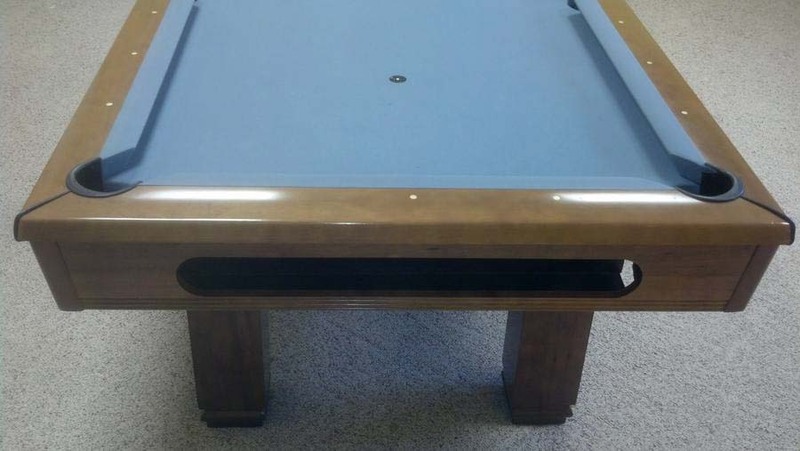 Players rave about the quality of play this table had delivered while being easier on the wallet! 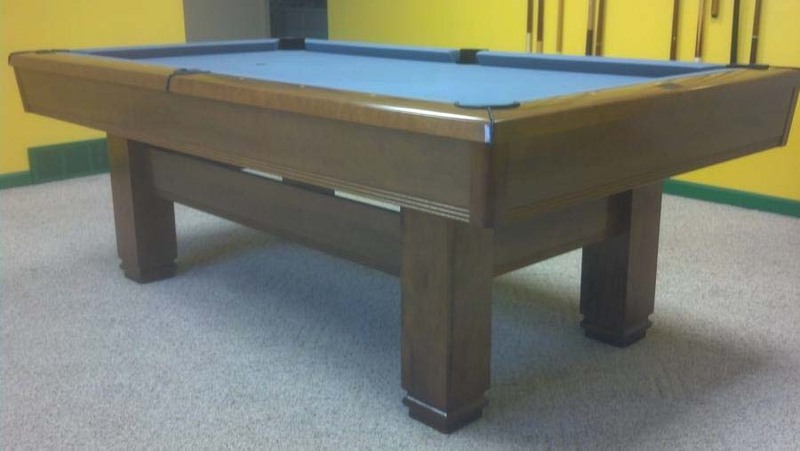 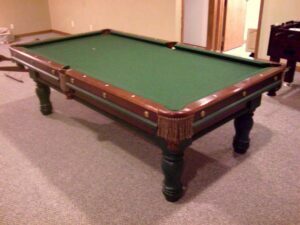 We’re sure this pool table will continue delivering quality play in your game room for generations to come as well! 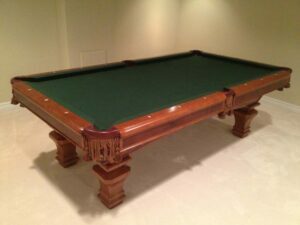 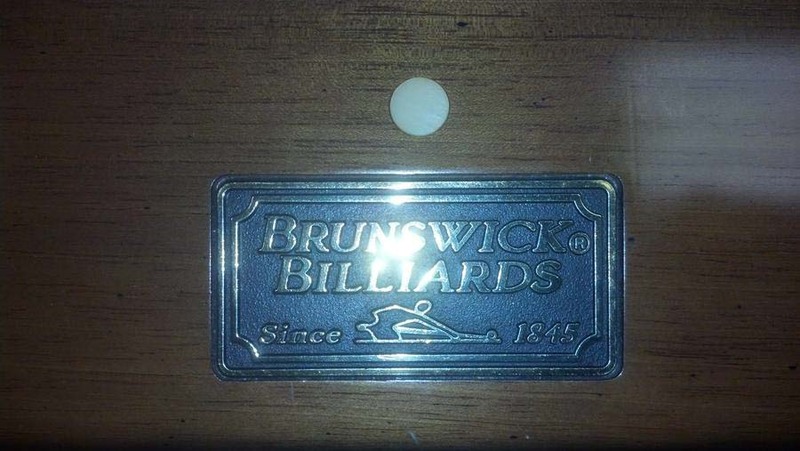 Ask us about our 1 year warranty and learn how Pro Billiards is different from our competition!